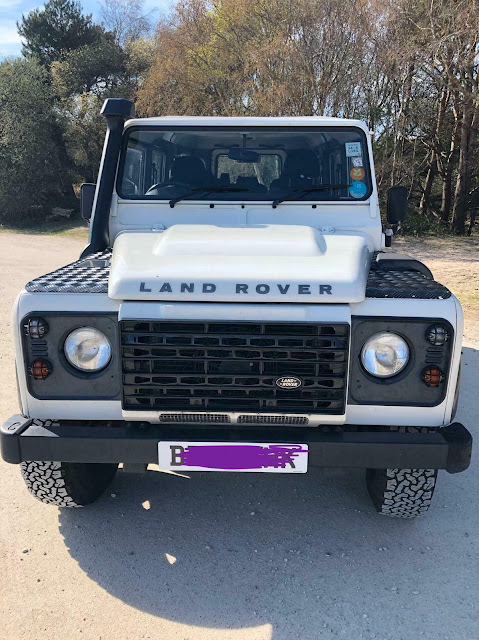 I have owned this for over 4 years now – only for sale due to lack of use (+ 2nd baby on the way and house works) and have done about 3k miles/ year for the last 2 years, so just not being used enough. 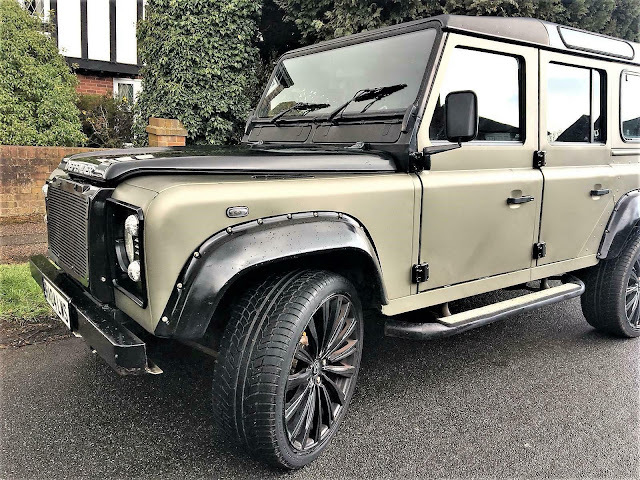 As you should expect from a vehicle of this age it’s in superb condition, mechanically perfect, drives really well and cosmetically excellent (odd minor blemish but on the whole very good). 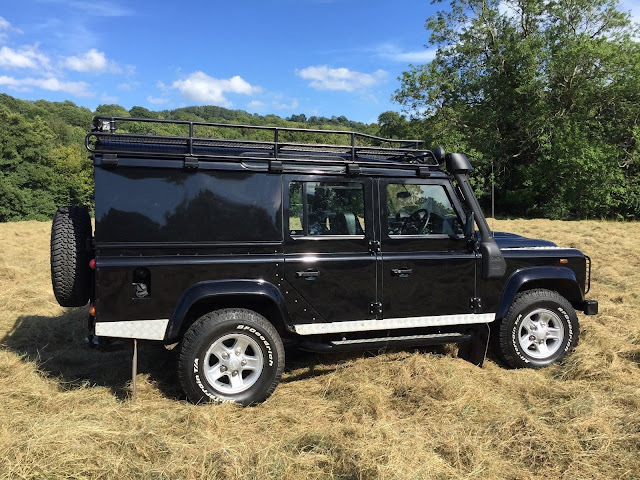 I am mechanically minded and pretty fastidious with my cars and any work done is done right – no bodging! 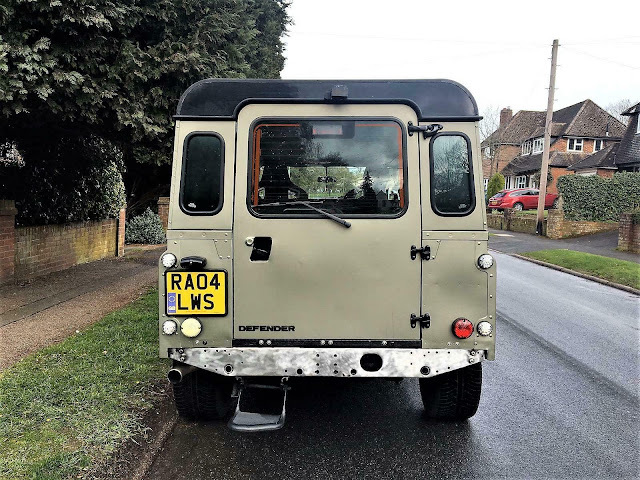 4x 55w spot lights inc fitting (wired for main beam only - switched) – switch is genuine Landrover dash switch. 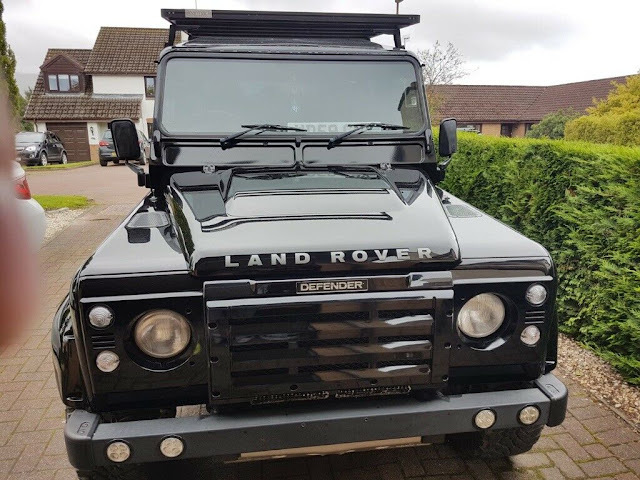 Intensive rust proofing regime carried out when I purchased, including: Full underbody and chassis internal clean, chassis cavity wax and waxoil applied. 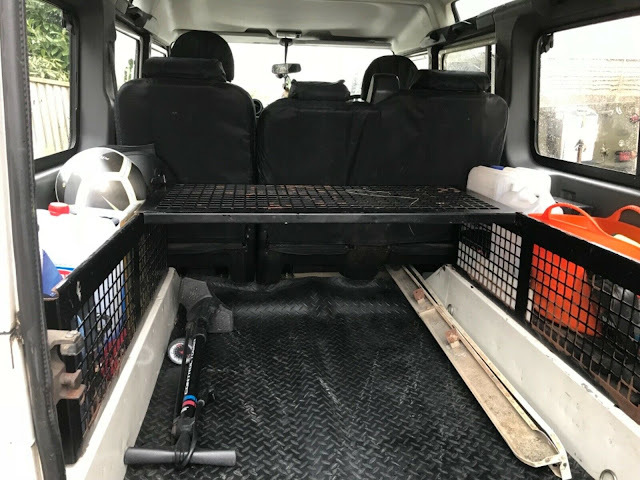 Sound proofing to interior rear load area, and bespoke rubber flooring carried out to rear. 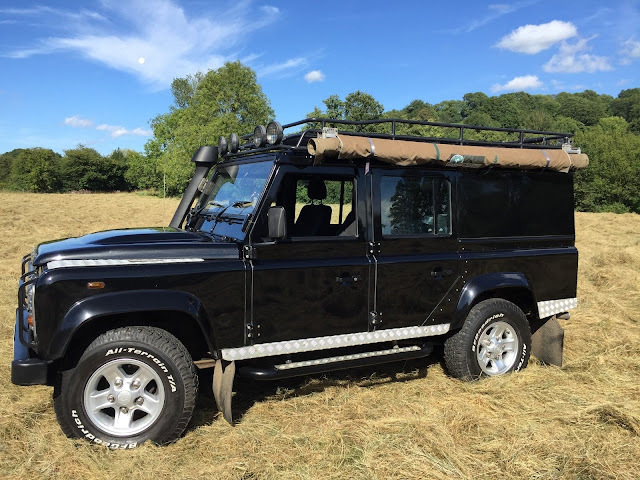 NB 2.4m Hannibal Awning with 3xsides with bespoke mounting bracket (to allow fitting to defender roof rack) – Not included but available at extra cost. 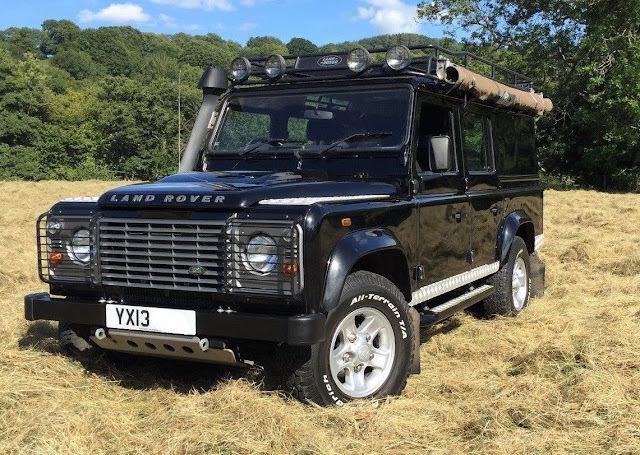 A rare opportunity to purchase a one owner from new Landrover with full main dealer history. 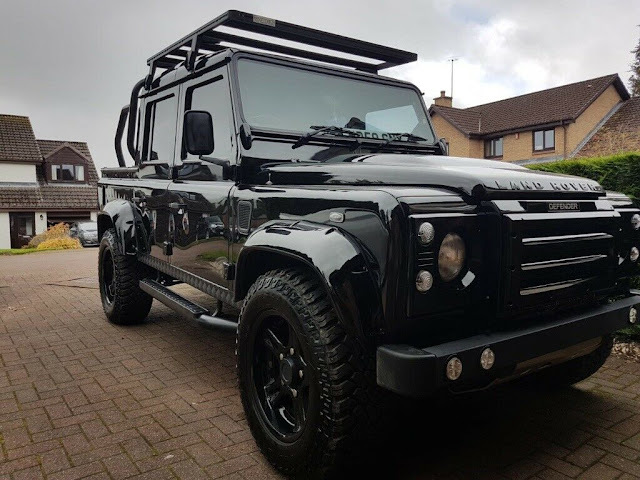 This vehicle has been fitted out to a very high specification and has been maintained regardless of cost since purchase. 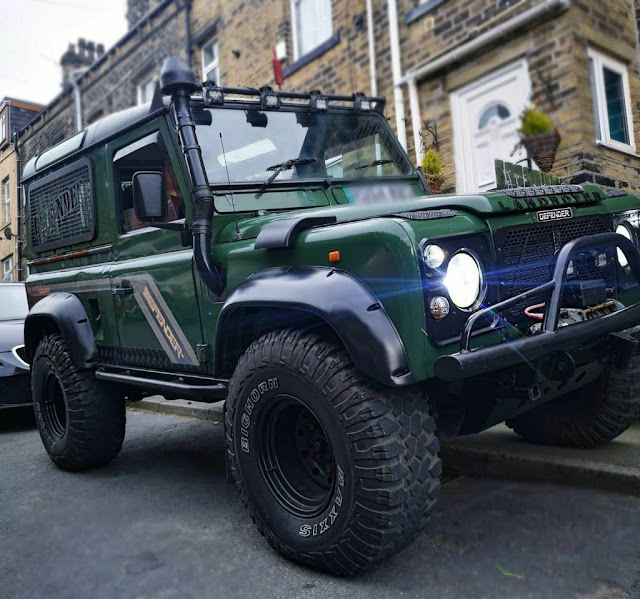 Defender 90 WOLF (replica) built from genuine WOLF 24V FFR parts. 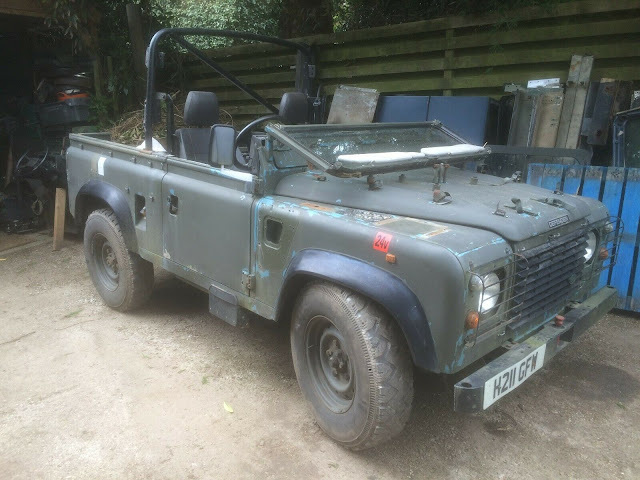 This vehicle is in good condition and comes MOT'd until October. The panels were all originally light blue and have been over painted NATO green. 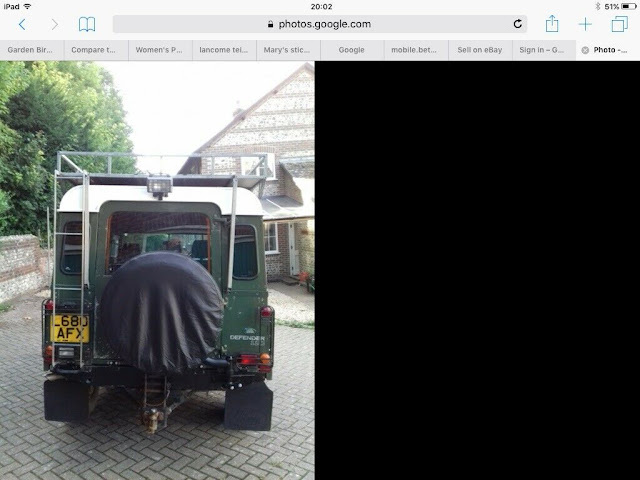 The blue looks like the original MOD colour as its on the door tops and bulkhead etc. Bulkhead and chassis are all good. 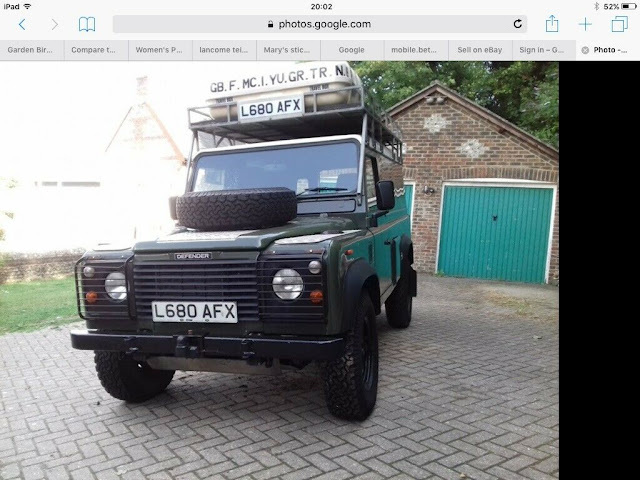 The truck has been lowered (not by me and don't ask me why!) 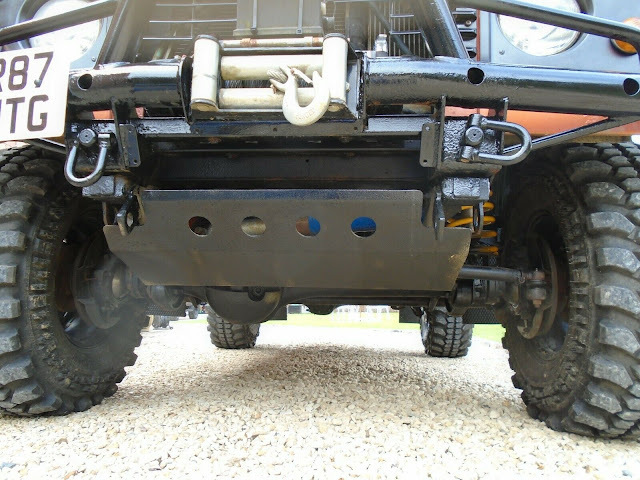 using £1k worth of quality suspension components so it needs to go back to its original height. 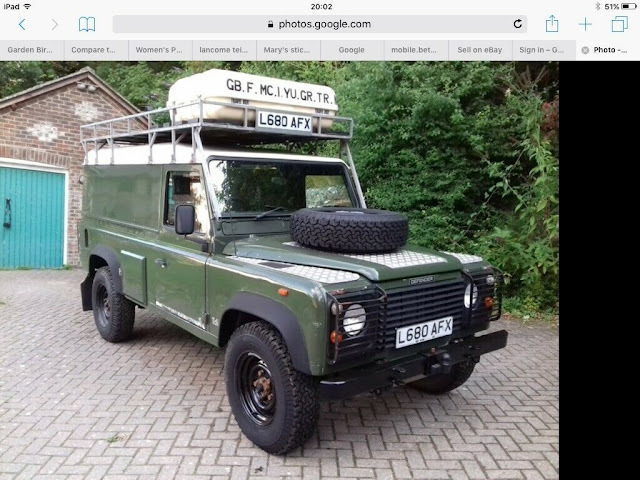 The truck comes as pictured but will come with complete hoodstick kit (as fitted) for the asking price. 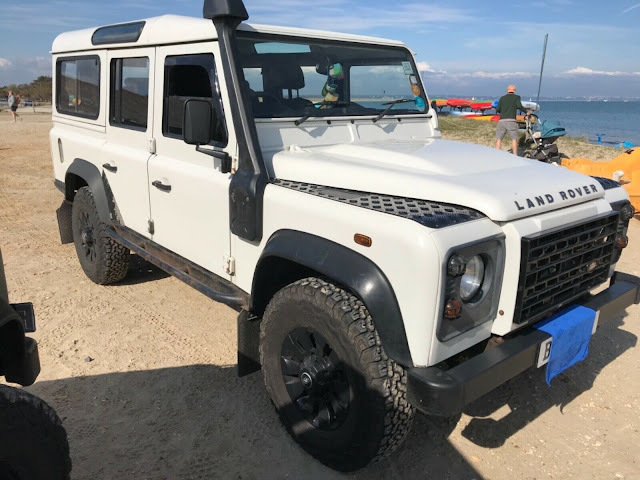 The Defender is in very good working order with a good engine, transmission and electrical system. 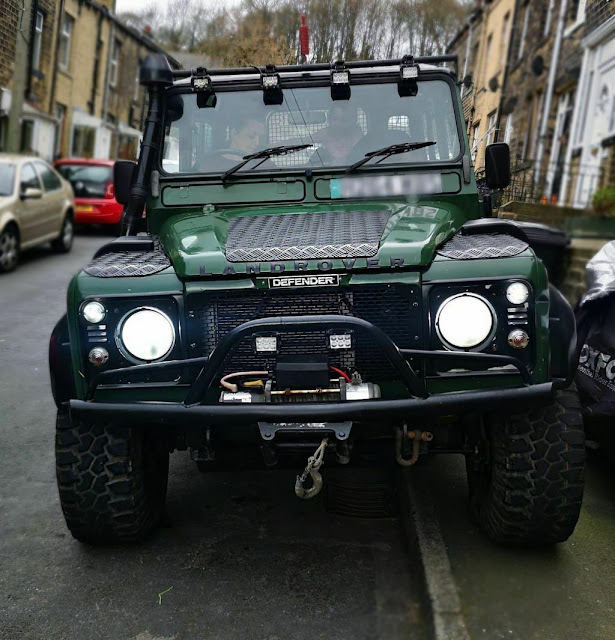 It drives well (despite being lowered) and I can supply a set of replacement suspension setup to put it back to its original height if required. 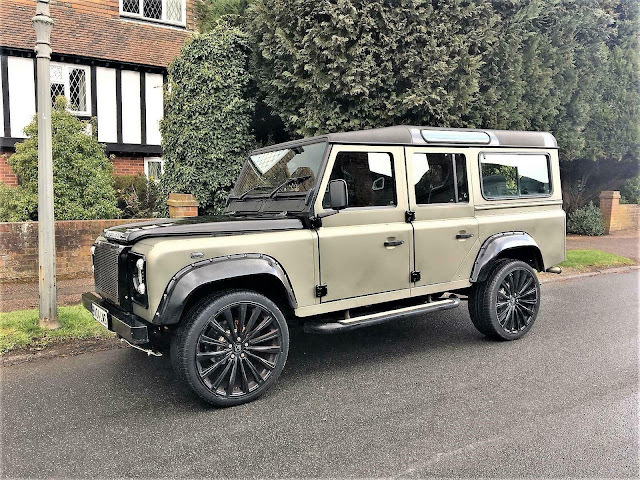 The vehicle was originally fitted with a fibreglass roof (now sold) but it will come with the doortops and hoodsticks if the asking price is met. 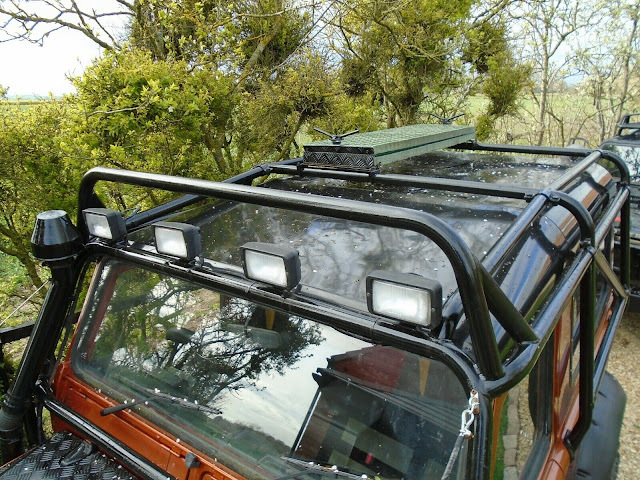 A soft top or fibreglass canopy will fit straight on over the top. More photos to come when rain stops! 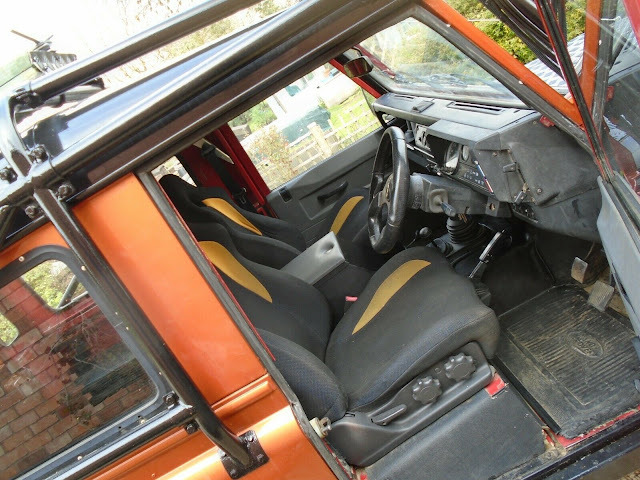 This is a trade sale so its vital that any inspections are carried out before any sale is completed. 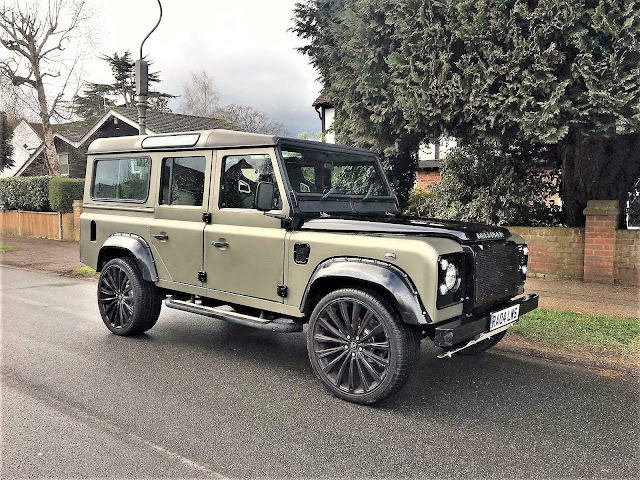 There is no warranty, guarantee or money back once the sale is finalised. 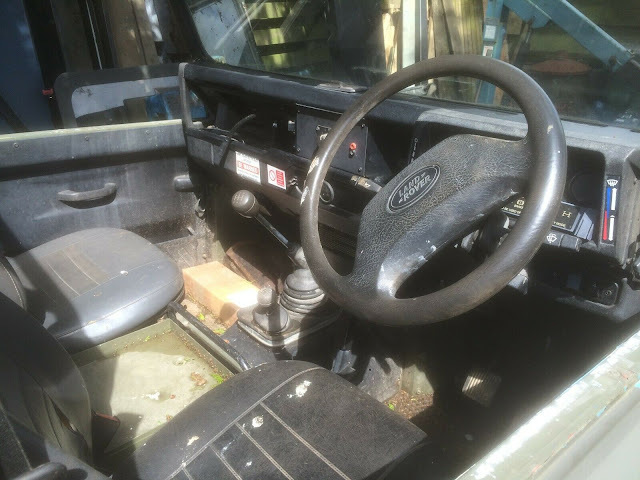 Land Rover is in good condition, obviously various signs of wear as we use it everyday and mileage will increase as still in use. 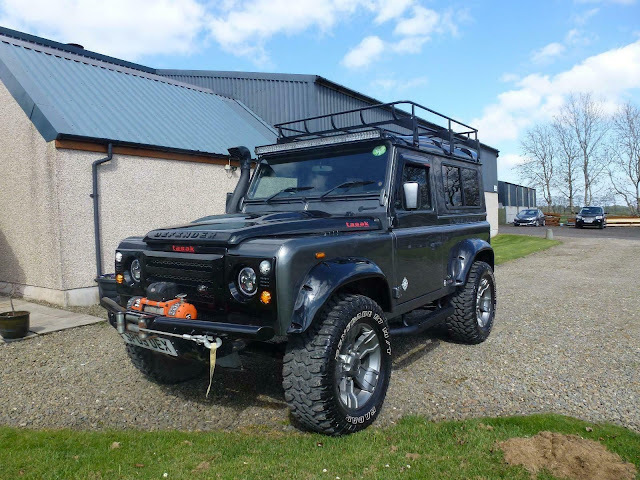 Sellers Comments -Defender 110 double cab pickup full XS edition. 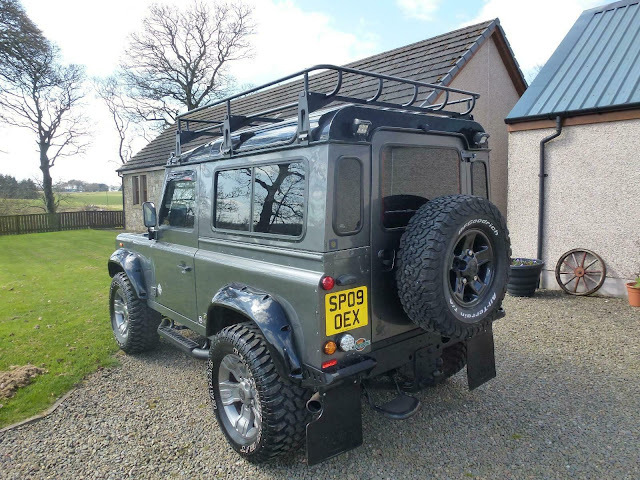 Winter pack, heated front seats all half leather, aircon, extended arches, rear roll cage, tinted windows. Great condition. 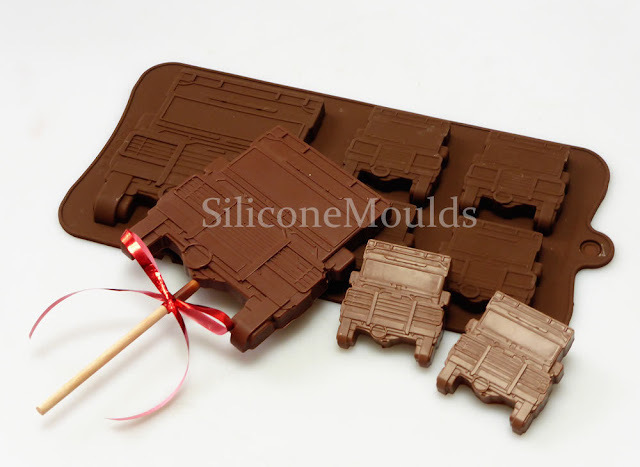 This is a 4+1 cell Silicone Chocolate bar and lolly mould. The large cell can be used to create small slab bar type chocolates or with a stick for a large novelty chocolate lolly. 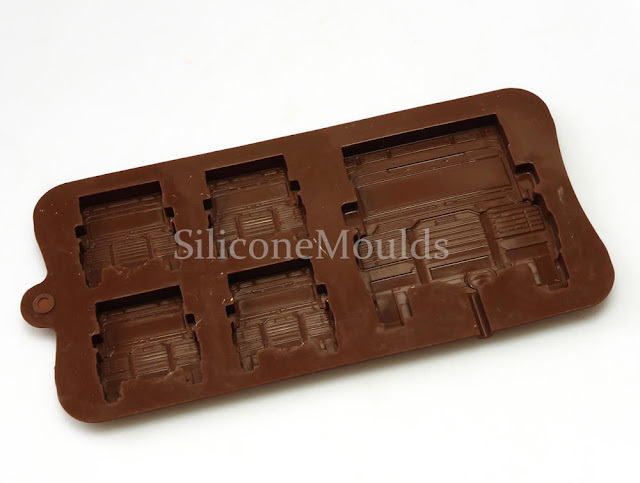 This mould can be used to make 1 x large lolly (or chocolate bar) and 4 identical smaller chocolate bars. Perfect for gifts, kids parties or just a sweet indulgence ! When made and wrapped individually or as a set, these make really unique and stunning gifts. The smaller chocolates are ideal for cupcake toppers or embedding in the back of a larger chocolate bar. Our chocolate moulds have a high polish finish on the inside, which is required to get that shine (rather than matt finish) on your final product. 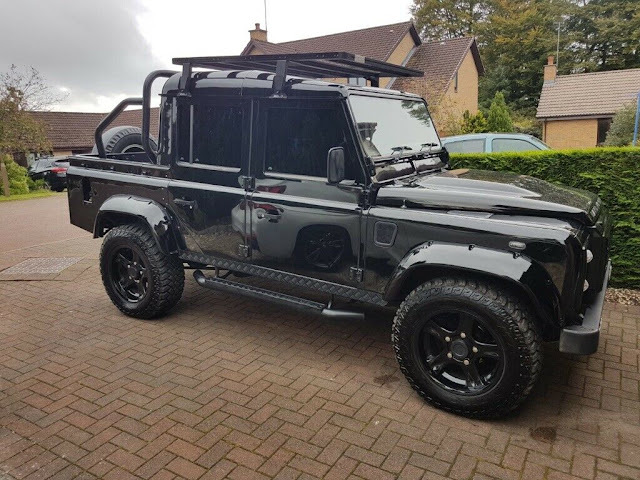 HEAD TURNER, LAST OWNER FOR 12 YEARS, LOW MILEAGE, WIDE ARCH KIT, WRAPPED, SPORTS SEATS, ELECTRIC WINDOWS, POWER STEERING, CENTRAL LOCKING, ELECTRIC MIRRORS, REMOTE LOCKING, AIR CON, LOW MILEAGE, MANUAL, AIR BAGS, ABS, LEATHER TRIM, ALLOYS, HEAD RESTS, CD, AUX, SIDE STEPS, 9 SEATER, USUAL EXTRAS, VIEWING ESSENTIAL, WE WORK BY APPOINTMENTS ONLY, AND ACCEPT ALL METHODS OF PAYMENTS. WE ALSO PROVIDE GOOD FIGURES FOR PART EXCHANGES. 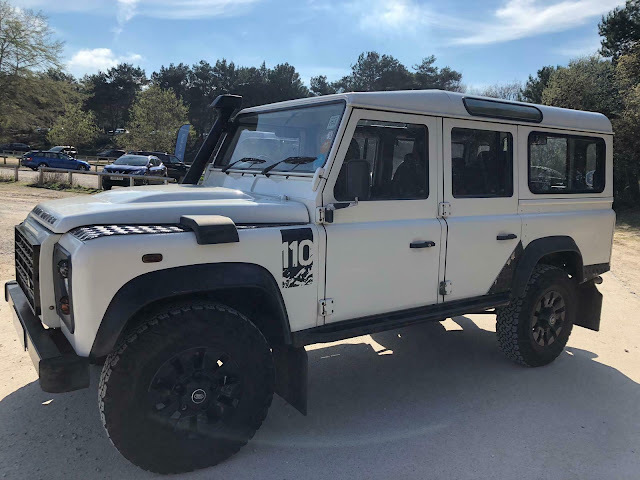 WELCOME ,,, THIS IS YOUR ONLY CHANCE TO OWN A 3 OWNER DEFENDER MEGA LOW MILES TRUCK THIS IS RARE THATS 3 OWNERS IN TOTAL . 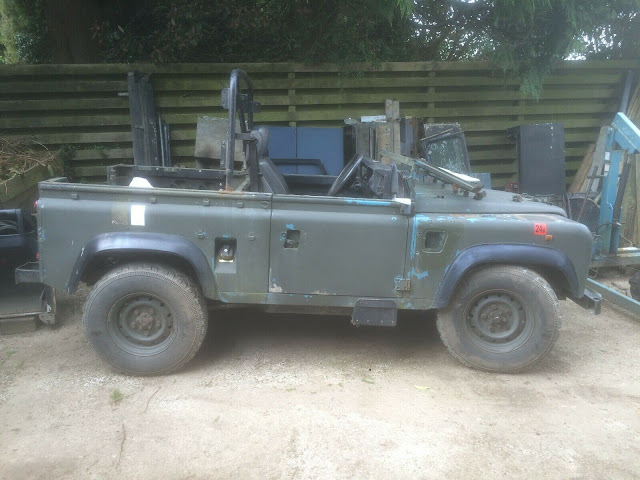 KEPT IN THE DARK THE LAST 7 YEARS, BOUGHT FOR A TOW BUT NEVER USED. 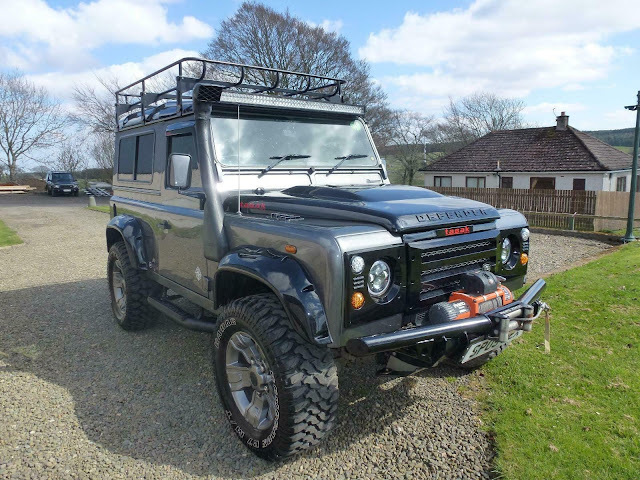 THIS AS GOT TO BE A ONE OFF TRUCK ,THE ALTERNATE EXTREME LANDROVER 4X4 OFF ROADER. 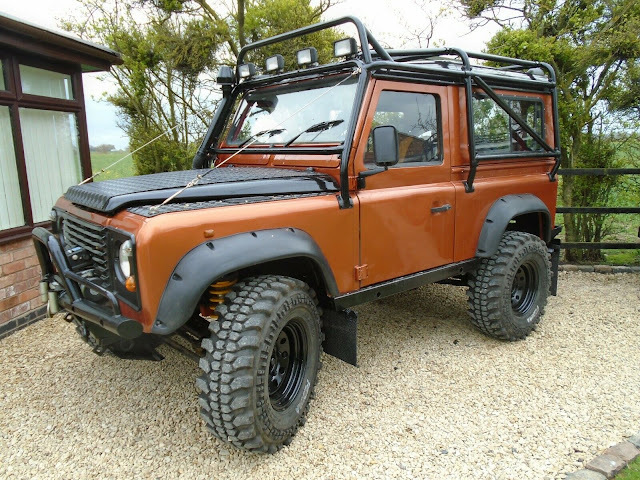 MEGA LIFT KIT FITTED , ROLL CAGE LIKE NO OTHER, TYRES LIKE YOU DONT BELIEVE. 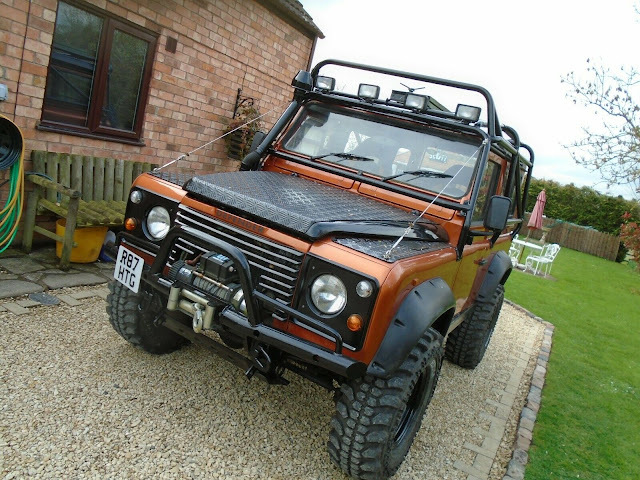 WINCH THAT WILL PULL YOUR HOUSE DOWN , SKIDS ON THE ROOF , ROCK SLIDDERS, SUBARU BUCKET SEATS. 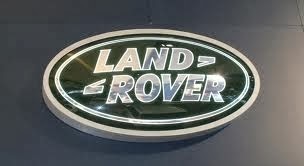 PLEASE CHECK OUT WWW ARB .COM /RD56 24SPLINE /LOCKING DIFFERENTIALS. 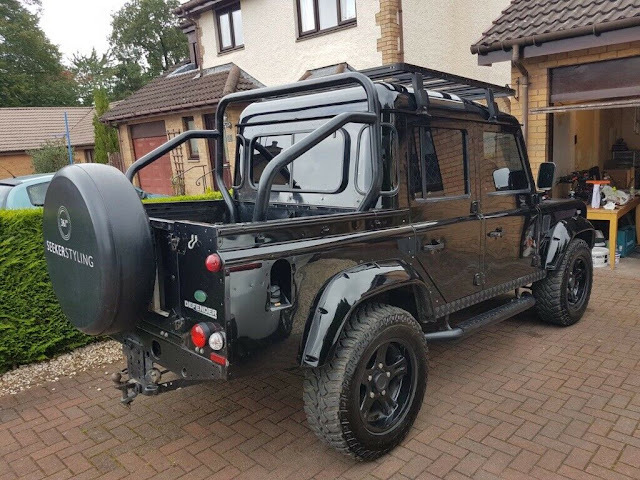 I AM LED TO BELIEVE THIS DEFENDER WAS GOING TO GET USED , HOWEVER MAYBE JUST A PIPE DREAM.